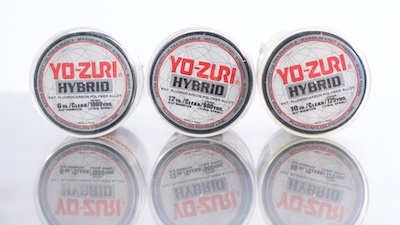 Introduction: Yozuri Hybrid was my former "high end" fishing line before I discovered fluorocarbon. I recall the very first time I used it, I had 8lb test spooled on a spinning reel and I got a snag with an Owner worm hook on a submerged tree. I couldn't shake it loose so I grabbed the line, wrapped it around my hand and pulled to break it off figuring it was just 8lb test. Well, it took a lot more effort than I imagined to break the line off and while it did not cut my hand, when I pulled up the remainder of the line, I found instead of the breaking at the knot, my hook actually broke in half! Yozuri Hybrid was my instant, new favorite line for several years to come. Yozuri Hybrid was my go to line before making the switch to 100% fluorocarbon lines. Quality : Hybrid is not precision wound on the spool. In fact, it's laid out rather haphazardly, but despite that, when you pull a length off from the spool to run between your fingers, consistency is still pretty decent. It has a smooth finish and the average diameter measured across five points came to 0.305mm. Yozuri lists the line at 0.308mm. 10lb Yozuri Hybrid spooled onto an Abu Garcia Silver MAX. 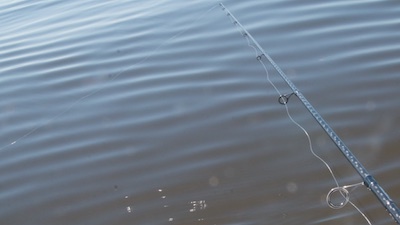 Performance: It's been a very long time since I've fished this line, so it was nice to get reacquainted with it for the purpose of this review. I spooled both 10lb and 12lb test on some casting reels, and 6lb test on a spinning reel for a recent trip to the California Delta. 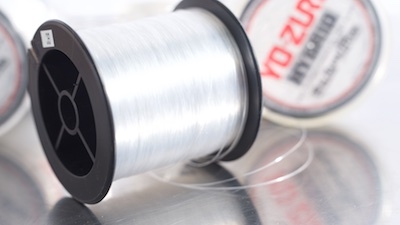 Yozuri Hybrid is listed as a 50% mixture of fluorocarbon and nylon to give the line the manageability of nylon but the sensitivity and abrasion resistance of fluorocarbon. While the line is a bit more manageable than some fluorocarbons and actually casts and pitches quite well, it is certainly more wiry than your typical nylon monofilaments. 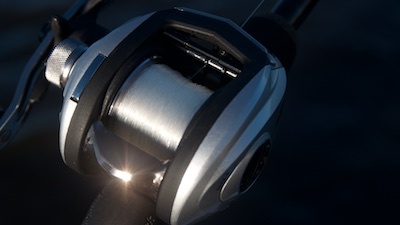 If you're not careful, it can have the tendency to fluff off your casting reel spool during a cast and can jump off your spinning reel spool if overfilled. 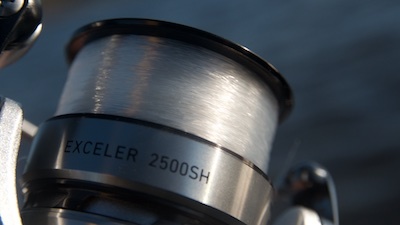 6lb test Yozuri Hybrid onboard an Daiwa Exceler 2500SH. But thanks to that wiry behavior, it is definitely more sensitive than nylon monofilament and while I would support the claim of abrasion resistance based on fishing the line, in our lab, when strapped up to our abrasion machine, Hybrid tested out only as average in resistance to abrasion. Yozuri Hybrid is good with regards to memory at 6 or 8 lbs and below. The higher you go, the more it becomes an issue. Knot strength was something I was really curious about with this line thinking back to my very first experience fishing with Hybrid. In the lab, this line tested at 87% of the product's rated strength (10lb test), but only 65% of actual, tested tensile strength (13.4lbs). The averages across the 17 products in our initial, baseline test were 96% and 85% respectively, so Hybrid actually tested below average in this category. Yozuri Hybrid is only available in clear.